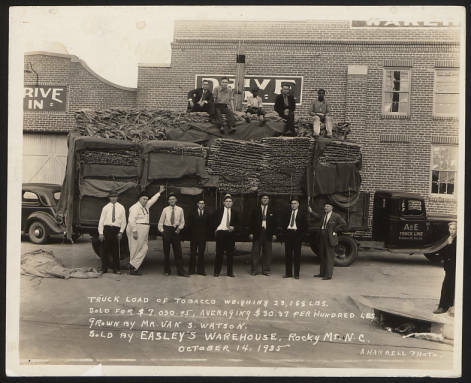 The North Carolina Digital Heritage Center has digitized newly arrived Watson Family photos and materials as well as a collection of Rocky Mount High School newspapers, all from the Braswell Memorial Library (Rocky Mount, N.C.). In April, we published a large quantity of Watson Family photographs and advertisements. 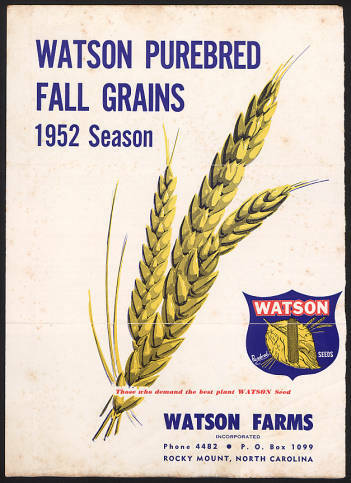 The new additions include more family photos and ads, as well as images from the Watson Seed Farm Inc. fields and warehouses. 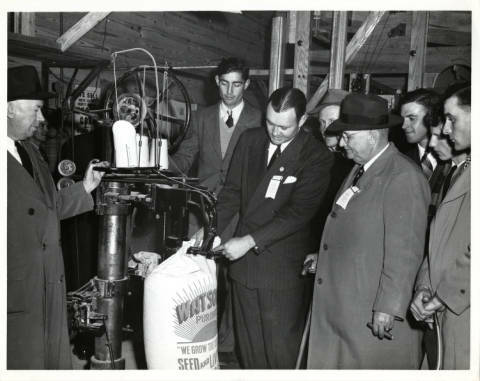 Many of the Watson Seed Farm images feature Watson brothers Van Sharpe Watson, Jr. and George Benedict Watson. For reference, please refer to the Watson Family Tree, which was featured in an earlier blog post. Other images of the farm include harvesting processes, workers such as Mr. James Alston, and harvesting product such as hybrid corn seed and tobacco. Braswell Memorial Library also contributed a selection of Rocky Mount High School newspapers, ranging from 1950 through 2004. Earlier volumes of the newspaper were called The Blackbird, which changed to The Gryphon in 1969. There are now over 1,000 items from Braswell Memorial Library available online. You can view them all here.